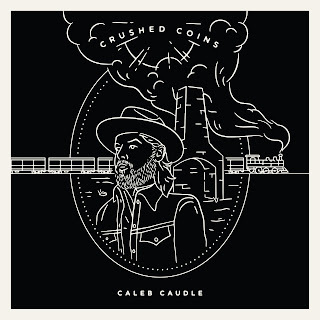 Caleb Caudle may have been dealt a handful of aces, but he has chosen an opportune moment to play them in the shape of a fabulous new album. CRUSHED COINS scores high on a number of fronts, even to the extent of the ironed out imperfections suggesting not all great albums need an edge of vulnerability. What this North Carolinian singer-songwriter has done is take the basic sound ingredients of steel, keys and strings before adding in an articulate lyrical element to tear away the layers of primal emotion. A sophisticated mellowness wraps each one of the eleven tracks and delivers them to the listener with an extra coating of enticing melodies. This is song writing of the highest degree, blessed with an acute offering of leading the listener into the thought process without truly planting explicit ideas. This is best exemplified in the title track right at the core of the record with ‘Crushed Coins’ leaving its message open to interpretation, although within the recurring line of ‘there’s no laughter in this house’. Every great album needs a track to reflect its level of accomplishment and Caudle achieves that early in the proceedings with the sublime ‘NYC in the Rain’. Dressed in the robes of delightful pedal steel, this song explodes with the most gorgeous of chorus melodies as the message of not finding the Big Apple the most agreeable place to live in pours out. In an alternate bygone age where confined media could spawn monster worldwide hits, this would compete hard. However, back to the reality of the present and it will still battle valiantly to find its niche in this fragmented media age. Most importantly, it will be trumpeted here for the near future. CRUSHED COINS does defy one normal rule of a blueprint great album often applied here in the strategic placing of a dominant opening track. ‘Lost Without You’ acts more as a scene setter in terms of its moderate tempo and introductory tendencies signalling that the content is likely to get deep. What did impress, and will further excite song writing structure junkies, is the way the circle is completed with the title of the opener doubling up as the final line of the closer. ‘Until It’s Over’ heralds a finishing point bordering the fine line between premature and optimum, while in low key acoustic mode to suggest that Caudle is content that the job is done. In between the moderate book-ended tracks, are a wealth of song writing peaks, all pushing the aforementioned soaring standout song. ‘Six Feet From The Flowers’ leads the way in all its tear jerking glory starting with the poignant opening ‘They said it would get easier/They don’t know a thing.’ Throughout the record, the writing toys with the idea of loss and the importance of holding on, eventually leading to a climax of what life is really like when dusk fades. If you seek the record at its most positive then ‘Love That’s Wild’ will oblige. Some wonderful pedal steel forms the intro and a late solo, while lyrically the song gets to grips with exclaiming ‘what’s important’ from the rooftops. The message gets a touch unclear in ‘Headlights’, but thought provoking moments can be endearing features of albums that resonate with an intuitive listener. Either way, evocative steel rules the sound spectrum, and like so much of the album, the ease of an outstanding chorus smooths the path. This album does not really court any genre loyalty. Country traits are prevalent to the extent that ‘The Way You Oughta Be Seen’ can be imagined as a sentimental piece with a 70s throwback sound. Americana will make a claim based on the sophisticated approach and more than the occasional nod to elements of roots tradition, although this is far from the definitive angle. Any country links can be countered by a very metropolitan feel; probably more at home in the coffee shop culture than a dingy bar. Sadly, the word ‘elite’ has been commandeered by the populist antagonists as a derogatory term, but when it returns to its rightful place as a true podium of excellence then applying the tag to this release will not be hesitated. Back to the tracks, and the somewhat different feel to ‘Empty Arms’ with its scratchy guitar opening and more conventional use of electric in a later solo phase. ‘Madelyn’ appears in the latter stages of the running order and takes the sound in a more roots direction with the injection of fiddle. Like so many of the songs, the lyrics are a major source of enjoyable scouring, thus revealing many clever nuances. The writing arrives at its most figurative in ‘Stack of Tomorrows’ to re-affirm the desired trait of interpretation being invited rather than explicitly planted. Ultimately, CRUSHED COINS cracks the code of perpetual loss in a mist of words standing out as a beacon, while the music nestles like a comfort blanket on a bed of keys, strings and steel. 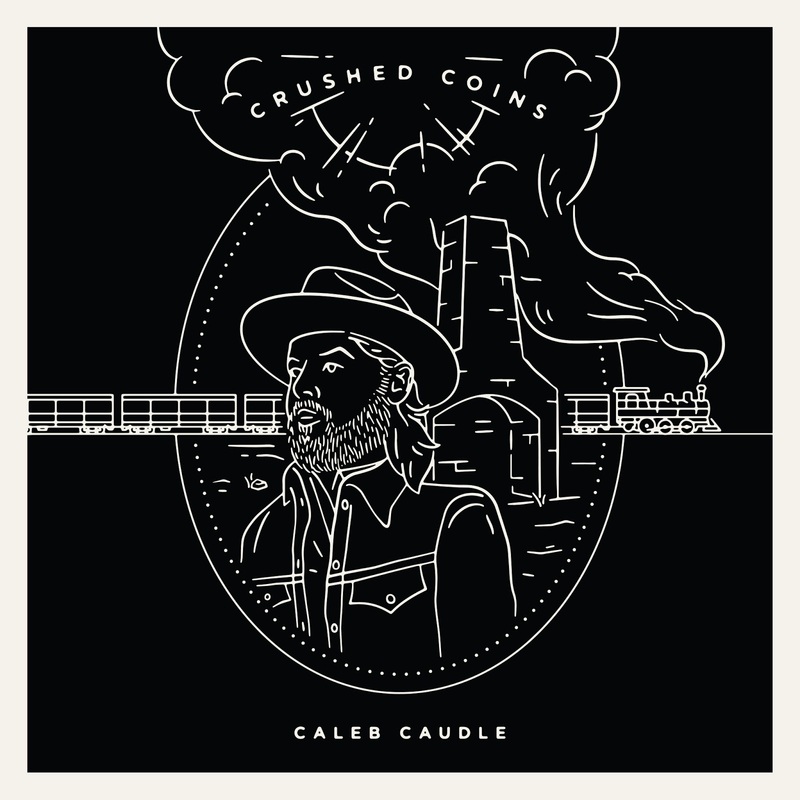 Caleb Caudle cashes in with a majestic display of the rawest song writing and the smoothest of sounds. Therapeutic, accessible and an air of clarity make it a record that will seize on any opportunity presented to snare the listener. Indeed, all this record requires is a single chance to impress and it will duly deliver.